Poll: How often do you eat potatoes? 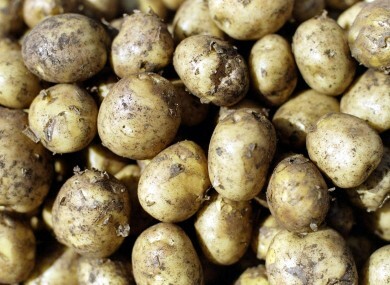 GOOD NEWS FOR potato connoisseurs – the Comber Early potato has been given the same kind of EU trademark protection as food and drink items such as Champagne and Parma ham. From now on, only potatoes grown in fields around Comber, Co Down can carry the Comber Early brand. It got us wondering – as a nation, are we still regular potato-eaters? Email “Poll: How often do you eat potatoes?”. Feedback on “Poll: How often do you eat potatoes?”.